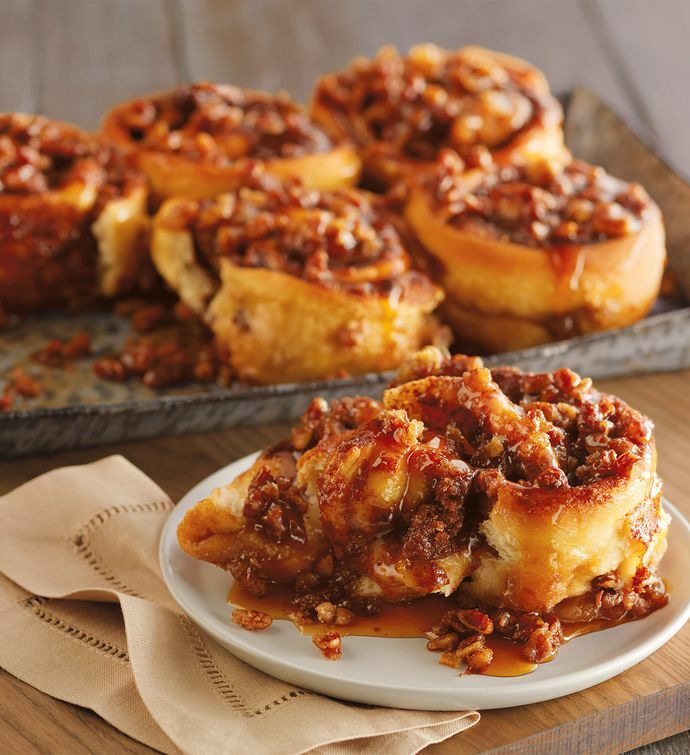 Go nuts with gooey perfection! Crisp pecans and buttery brown sugar top off soft dough to produce 6 soft, sweet rolls, just waiting to delight. Reheat and serve.